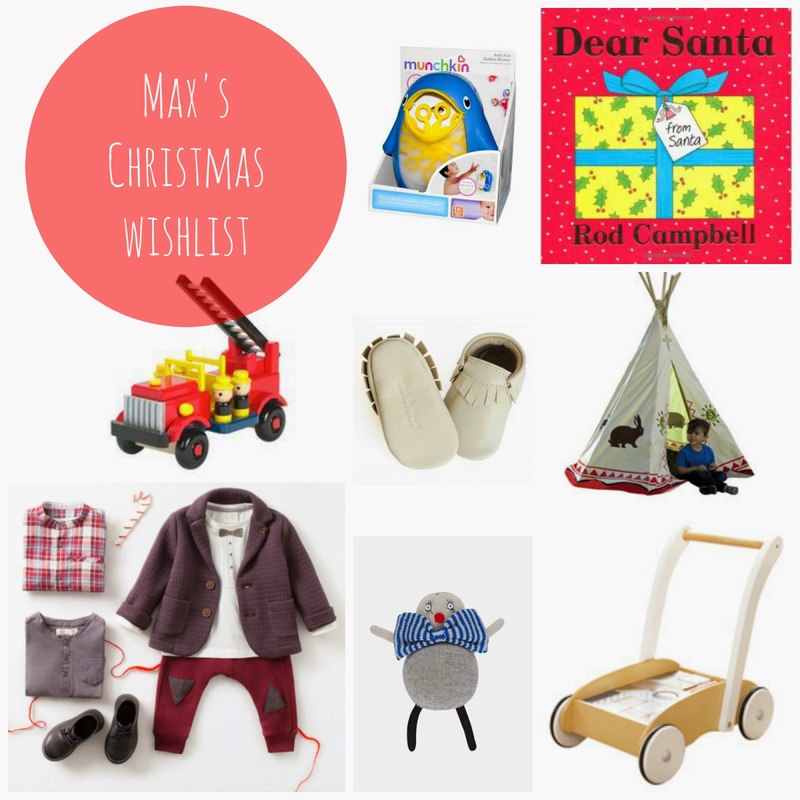 With Christmas only a week away I thought I would put together Max’s Christmas Wishlist. 1. Max is a bubbles addict. He was first exposed to them at our musical mice class so I thought I’d pick up this bad boy for a bit of bathtime fun. 2. I’ve picked up a few Christmas books for Max to open on Christmas Eve. He loves Dear Zoo a lot and I noticed Rod Campbell did a Dear Santa version. Max adores lift the flap books so I’m sure this version will go down a treat. 3. Wooden toys as you will probably know are my toys of choice for Maxi. So to add to his ever growing collection is this cute firetruck with little firemen. 4. With the cold weather Max needs some comfortable shoes to keep his little tootsies warm. He already has a pair of Uggs, which are great, but I thought he’d need a pair of stylish moccasins too. 5. Every child needs a teepee tent and I cannot wait to put this up. I’ll be decking the teepee out in fairy lights, it’ll be Max’s own little den to get away from the stresses of being a baby ha! 6. Of course I’d have to throw in a few pieces from baby Zara! I adore this look from the cute blazer to the bow tie printed t shirt. 7. Ever since I discovered Lucky Boy Sunday I’ve been lusting over Bow Jovie and a few others, okay all of them! So far I’ve ordered three for Maxi and I’ve literally had to stop myself from ordering the entire collection. Their kinda expensive but there just amazingly scary looking, I couldn’t resist. 8. In an attempt to get Maxi on the move, not that I want him to but I know he does! I thought a wooden walker would make things a lot easier when Max decides it’s time to walk. This gorgeously designed walker from Jojo Mamn Bebe comes with pretty blocks in different shapes and sizes and compared to others I’ve seen is stylish yet practical.